(KUTV) Father's Day is Sunday, June 18, which means you only have a couple more days to track down a gift for dear old dad. Here are some recent DVD, Blu-ray, 4K UHD and video game suggestions. The obvious choice of "Fate of the Furious" won't arrive on Blu-ray until July 11, so you could always start off with "Beauty and the Beast," currently 2017's highest grossing film in the world. While it's not nearly as good as the animated original, the film clearly brought audiences to the multiplexes in droves. For fathers who like their horror films to come with a hefty slice of social commentary, I suggest the breakout hit "Get Out" from Jordan Peele. The film follows an African American who travels with his Caucasian girlfriend to her parent's remote estate. Sit back and watch all hell break loose. "The LEGO Batman Movie" makes for a good choice if you're looking for a film that is appropriate for all members of the family to sit back and enjoy. A familiarity with Batman, in general, will help you with some of the more obscure references, but, even if this is your first Batman experience, there's still plenty of content to enjoy. 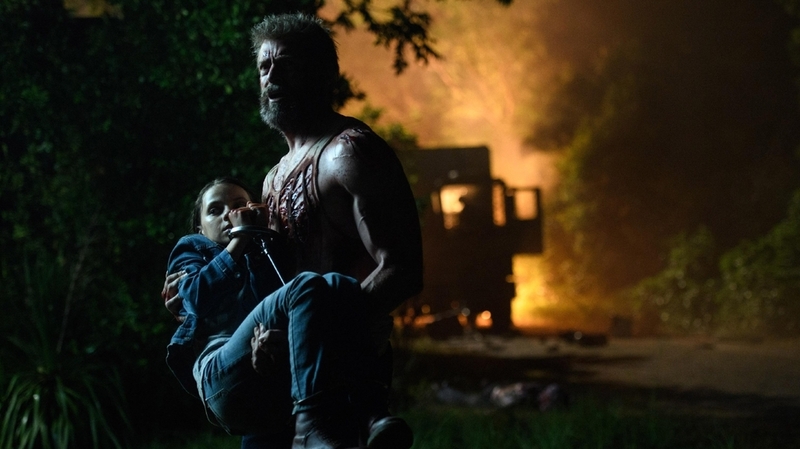 Built on the foundation of classic Western tropes, "Logan," the final film to feature Hugh Jackman as Marvel's Wolverine, is currently my favorite film of 2017. I'm naturally drawn to redemptive stories, particularly those that feature deeply flawed characters. Wolverine has always been a favorite of mine and this is the film that I've been waiting decades to experience. For fathers looking for an unbelievable and uplifting story should consider "A United Kingdom," the true story of Seretse Khama (David Oyelowo), the prince and future king of Bechuanaland, and Ruth Williams (Rosamund Pike), a white woman, who he takes as his bride. The act causes a great stir of controversy in England as well as in Botswana. Earlier this year "Bones," the popular Fox crime procedural starring David Boreanaz and Emily Deschanel, wrapped its twelfth and final season. So, if you're looking to distract your father with stories about an FBI Special Agent and forensic anthropologist who helps him solve crimes based entirely off of decomposing human remains, then I've got the perfect gift for you. Relive all 246 episodes (probably not in one sitting) of Fox Television's longest running one-hour series. Or, if you prefer that your procedural dramas incorporate monsters and fantasy elements, NBC's "Grimm" also sailed off into the great beyond after six seasons and 123 episodes earlier this year. Alternatively, for those with a shorter attention span, is director/writer Paolo Sorrentino's ("The Great Beauty") television series "The Young Pope." The HBO series stars Jude Law as Lenny Belardo, the first American Pope, who proves to be as unconventional as he is stubborn. It's a whole lot stranger than you might expect. Once upon a time, we'll call it 2001, the name Scarlett Johansson was relatively unknown and "Crumb" director Terry Zwigoff was making his fiction-feature debut with a little film known as "Ghost World" with Thora Birch as its headliner. The film, which finds two teens mocking Seymour (Steve Buscemi), a lonely middle-aged man, after reading a personal ad he placed in hopes of contacting a woman he recently met. Based on Daniel Clowes' comic book, "Ghost World" is a story about outsiders from an age when being different wasn't trendy. Michael Mann's "Heat" is considered by many to be the director's finest work as he pairs Robert De Niro and Al Pacino in this crime thriller where a criminal and a police officer play cat and mouse. This "Director's Definitive Edition" is actually the same cut of the film that was released on Blu-ray in 2009, but this new release is considerably better than the previous Blu-ray edition in that it has a much more natural color grading and has a sharper image while still retaining the shot-on-film aesthetics. The film is begging for a 4K UHD release, but this will do for now. Dads with a taste for obscure foreign films would love to receive the second volume of "Martin Scorsese's World Cinema Project." Established in 2007, the World Cinema Project was created to bring attention to lesser-known, but noteworthy, films from around the world. This set includes "Insiang" from the Philippines, "Mysterious Object at Noon" from Thailand, "Revenge" from Soviet Kazakhstan, "Limite" from Brazil, "Law of the Boarder" from Turkey and "Taipei Story" from Taiwan. Paramount went back into the vaults to re-release some classic mobster films including 1974's "Chinatown," starring Jack Nicholson as private eye J.J. "Jake" Gittes; all three parts of Francis Ford Coppola's "The Godfather" as well as the often-overlooked Sam Mendes film "Road to Perdition" featuring Tom Hanks in one of his better performances and Brian De Palma's "The Untouchables," starring Robert De Niro, Kevin Costner and Sean Connery (who so happened to win an Academy Award for his performance). For those dads who have upgraded their televisions and theater rooms to be 4K capable there many new and catalog titles to pick from. "Dredd" was a fantastic film that failed to find an audience despite getting enthusiastic reviews for director Pete Travis, Alex Garland's script and Karl Urban's portrayal of the title character, a police officer granted the special authority to act as judge and jury and executioner in an ultra-violent metropolis. It's box office performance was somewhat disappointing, but it is hard to imagine making a faithful adaptation of the film that would play to the masses. Residue from Sylvester Stallone's "Judge Dredd" from 1995 proved that. this 4K release is upscaled, but still boasts improved detail clarity and a vastly improved color presentation. The line between practical and CGI effects is a little more noticeable, but this version still easily trumps the Blu-ray release. Sadly, the 3D version of the film is not included. Sticking with Alex Garland, we have the writer's debut feature as a director with "Ex Machina." The film follows Caleb (Domhnall Gleeson) as he travels to a remote home to spend a week with his reclusive billionaire boss Nathan (Oscar Isaac). Upon arrival Nathan asks Caleb to test Ava (Alicia Vikander), an android that may or may not represent a breakthrough in artificial intelligence. "Ex Machina" is an excellent sci-fi film. It might even be a landmark sci-fi film. It certainly is one of my favorite films and threw Vikander into the spotlight. She would have gotten there anyway, but this, rather than "The Danish Girl," will always be remembered as the moment she became one of my favorite actresses. "Ex Machina" was shot and mastered in 4K and looks stunning, particularly when it comes to detail. The film isn't very colorful, so it doesn't necessarily "pop" off the screen; it was never intended to. Other options include "The LEGO Batman Movie," "John Wick: Chapter 2," "Logan" and the fantastic second installment in the "Planet Earth" documentary series. We're going to lean primarily towards games that kids (of all ages) can play with their fathers. "Cars 3" is now in theaters and "Driven to Win" offers players the opportunity to take control of a variety of characters from the franchise including Lightning McQueen in a plethora of locations that were featured in the various films. Of course you can race by yourself, level up your skills and trick out your car, but the real joy of racing games is being destroyed by a 5-year-old kid who can fly through any and every racetrack while driving backwards (yes, you can drive backwards, do crazy-in-air stunts and slide into turns like a pro). If you really want to be humiliated, you could always try battle mode. I first played "LEGO Dimensions" at the "Fantastic Beasts and Where to Find Them" junket last year. I've always enjoyed the various LEGO franchises, particularly the Star Wars titles. "LEGO Dimensions" is essentially a sandbox game where, depending on what figures you own, you can visit a variety of film-based locations and complete quests. The possibilities are only limited by the franchise licences that the developers are given access to. You don't have to imagine a world where the Twelfth Doctor teams up with Scooby-Doo to explore Jurassic World because that's one of the many day-dreamed possibilities in "LEGO Dimensions." A trio of expansion packs were recently released featuring characters from "The Goonies" as well as familiar faces from the Harry Potter and LEGO City franchises. While some will suggest that "LEGO Dimensions" was created with kids as their target audience, its packs like "The Goonies: Level Pack" that prove otherwise. Many of my favorite '80s films and television series have been introduced into the LEGO Dimension Universe including "Gremlins," "E.T." "The A-Team" and "Back to the Future." This pack includes a playable Sloth character and a new game level set in the world of the Goonies. The Hermione Granger: Fun Pack sees Hermione Granger and Buckbeak added to the list of playable characters from J. K. Rowling's Wizarding World. Previous playable characters include Harry Potter, Lord Voldemort, Tina Goldstein and Newt Scamander. The "LEGO City: Fun Pack" includes Chase McCain, the main protagonist of the video series, and a police helicopter. I somewhat expected "LEGO Worlds" to play out like a "Minecraft" clone, but that isn't the case at all as the game casts you as an astronaut who travels to various locations to collect golden bricks, discover various objects (everything from trees to structures and animals) that you can use to solve puzzles and eventually earn the title of Master Builder. Here, at the end, we'll step away from the family-friendly games to include "Prey," a re-imagined take on the popular 2006 sci-fi horror franchise that has drawn favorable comparisons to the Alien movie franchise and Bioshock, one of the most visually striking and utterly beloved video game series.